For today’s card I wanted the lovely Santa and his sleigh stamp from the Hearts Come Home stamp set to be the focus of the card and what better way to make him the focus than to have him flying across the moon. Surely one of the most iconic images of Christmas Eve everywhere. To create the card I cut a layer of Night of Navy to 10cm x 14cm and a matching layer of Window Sheet. I then put the two layers together and cut the circle out of the 6cm diameter circle from the Layering Circle Framelits. I then fixed the window sheet layer temporarily to the front of the card with washi tape. I then took some Crumb Cake ink on a sponge and very lightly inked the bottom left edge of the circle. I then stamped the Santa in the middle of the circle with blank memento ink. Next take the Night of Navy layer and stamp Joy to the World and some random small stars in Versamark. Heat emboss this with Silver Stampin Emboss Powder to finish the layer. To complete the card line the Night of Navy layer over the top of the stamped images on the Whisper White card base. The Crumb Cake ink should look like a shadow at the bottom of the moon. Inside I just stamped a quick greeting in Night of Navy. 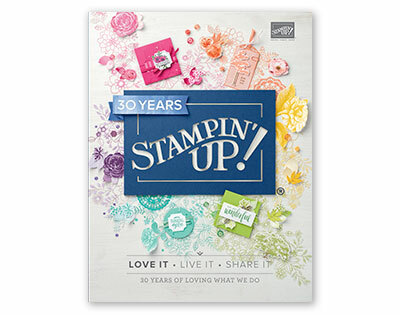 Join me tomorrow for another card using the Hearts Come Home stamp set. Today I’m back with another card using the Hug in a Mug stamp set making a very girly pastel card using Powder Pink, Sweet Sugarplum, and Pool Party, if we still had Mint Macaron then I would have used that too! Today I’m featuring another card using my favourite colour combination for snowflake themed cards Pool Party, White and Silver. I decided to pull out and have a play with the Snowflake Sentiments bundle today, this was one of the first additions to my wish list for the autumn/winter catalogue. I love the combination of the intricate dies and the gorgeous font used in the sentiments, for me its a winning combination. Firstly I took a card base in Pool Party measuring 14.5cm x 21cm, scored and folded at 10.5cm and used the dotted edge die to created the detailed shaped edge. I next took a piece of window sheet measuring 10.5 x 14.5cm and stuck this to the inside of the card using tear and tape, this was to give the card a straight edge to stand up with. I next adhered some silver foil onto the multi-purpose adhesive sheets and cut out the detailed snowflake die, this fits along the edge of the card base perfectly once cut out. If you have the die-cut brush available now is the time to use it, I don’t have one so spent a long time pushing all the little bits out with a cocktail stick. Adhere the snowflake die to the card. Next take the silver foil and cut three 0.5cm strips which are 14.5cm in length and stick them across the top of the card. If you have the silver washi tape from the Year of Cheer suite that is an easier alternative. Next the Pool Party shimmer ribbon and stick across the card covering one of the silver lines, I used the tear and tape to stick mine down. For the sentiment stamp the greeting on Whisper white cardstock in Pool Party ink and then cut out the second largest Stitched Shape Oval Framelit. 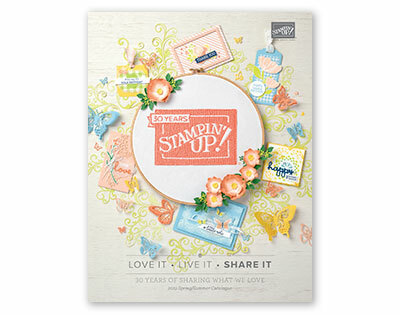 Take the corresponding scallop edged die from the Layering Ovals Framelits and cut that out of Pool Party, stick to the back of the greetings panel and then onto the card using Stampin’ Dimensional’s. For the inside of the card I took a piece of Whisper White A4 and stamped one of the greetings in the middle in Pool Party. I love how the Snowflake Sentiments set have sentiments which can be used on the outside of the card and has some which can be on the inside of the card. Pop back tomorrow for my final card from Snowflakes and Stars week featuring the Star of Light set again. For today’s card I’ve gone for a more traditional feel using a black, white and silver colour scheme and some of the music paper from the Merry Music Speciality Designer Series Paper. I took a Basic Black card base and embossed the greetings in silver in the top left and bottom right hand corners of the card. Make sure you use the embossing buddy to avoid extra marks on your card. To make the background piece I cut a piece of the dsp to 10.5cm x 8cm, then ripped the top and bottom diagonally across to create rough edges. Take the Versamark pad and run it along these edges and then emboss with silver powder. To make the focal point of the card cut out the outline star shape from the Starlight Thinlits in vellum and the largest detailed star in Silver Foil stuck on to the multipurpose adhesive sheet, then stick the two stars together. To finish off the card front take some silver metallic thread and wrap in round your fingers to create a large loop. stick this onto the card front using small amount of tear and tape to adhere, behind where the star will go. Add the star to the top of the silver loops and the card front is complete. To complete the inside of the card I took a piece of whisper white cardstock measuring 10cm x 14cm. Then take the Basic Black archival ink and stamp the large detailed star image in the bottom right corner. Thank you for joining me today, tomorrow’s card will feature the Snowflake sentiments stamp set from the new autumn/winter catalogue. For today’s card I chose a more traditional colour scheme for a Star themed card featuring blue and silver. I love how this card turned out, the swirly stripe die from the Swirly Scribbles Thinlits looks so striking in the silver and indigo and really makes the card “pop”. I took a Whisper White card blank and stamped the front all over with Pool Party using the second smallest star in the Star of Light stamp set. To create the stripe I took some Silver Glimmer paper and some Island Indigo cardstock and stuck them onto the Multipurpose sheets. I then laid the silver wave across the middle of the card. To fill in the wave take the Island Indigo offcuts from the second die cut and fill in the gaps in the silver wave. To make the focal point of the card cut one of the largest scalloped ovals in Island Indigo and one of the largest ovals in Whisper White. Take the small detailed star die and cut out of Silver Foil, stick this to the centre of the Whisper white oval. Take the Pool Party ink and use the triangular line stamp around the star to create a glow effect. Take the greeting “A little Christmas Spirit brightens all the World” and stamp at the bottom of the oval in Island Indigo. Adhere the oval to the middle of the card and finish off the card with a pool party enamel star. Hope you enjoyed today’s project, pop back tomorrow for a more traditional inspired star Christmas card.